Hello Em, wow such a gorgeous card, love the feathers and the lovely colours. Pretty card! I like that color too...so soft and lovely. Very pretty. I love the color you chose to use! Love the subtle stamped images mixed with the embossed ones. Lovely! Thanks for playing along this week at CYCI? Wow Em, I absolutely adore this card! 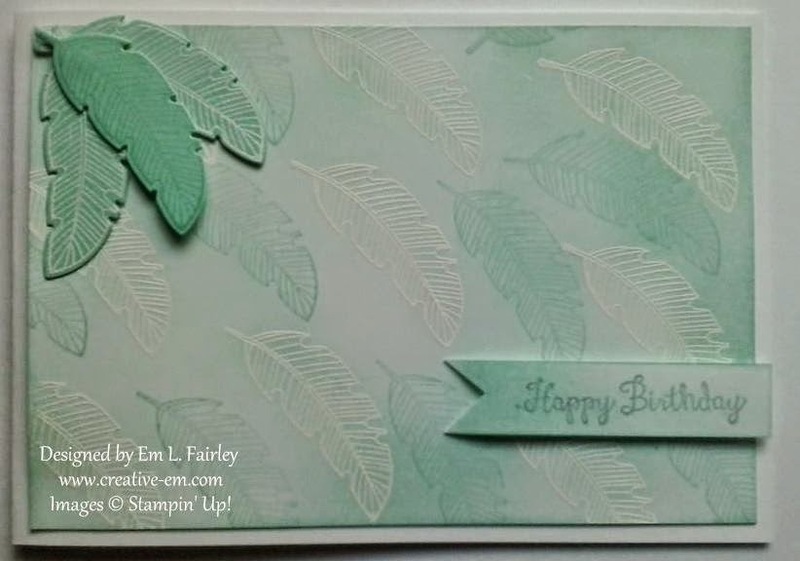 LOVE the mix of the stamped background and then the die cut feathers on top. Love the feathers with the emboss resist technique. Thanks for joining us at canyoucaseit.com. I love your card! I love the feathers !!! Thank you for joining us at CYCI!